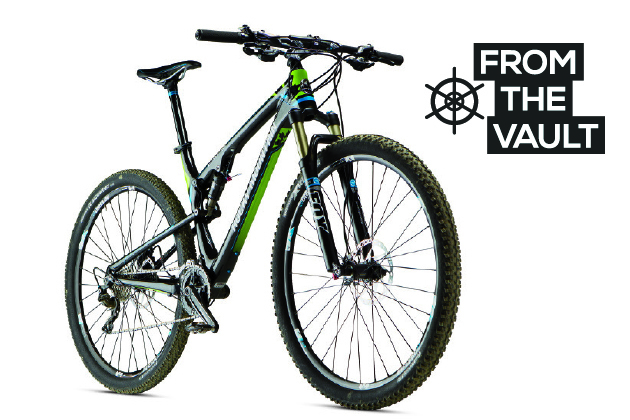 This Rocky Mountain Element 950 RSL review first appeared in the June 2014 issue of Bike. I'm probably not the most objective choice of testers for this bike: I've been a fan of the Rocky Mountain Element ever since I first swung a leg over the 26-inch-wheeled version of this model several years ago. Since then, I've ridden thousands of miles on various 29-inch-wheeled incarnations of the Element, and many of my sweetest singletrack moments of the past few years–from the BC Bike Race to a two-week expedition in Afghanistan's remote Wakhan Corridor–have come aboard this capable beast. Though Rocky Mountain classifies the Element as an "XC race" bike, I don't think of it this way–though it has definitely proven itself as race-worthy on seriously technical terrain. I still consider the Element to be the consummate all-around trail bike, especially for riders who like to spend long days on demanding backcountry 'death marches' filled with extensive climbs and burly descents. This new Element 950 RSL was certainly no exception. I felt right at home on my size large from the very first ride, with only minor modifications such as the installation of a Specialized Command Post dropper and an 800-millimeter-wide Race Face SIXC bar with 35-millimeter clamp diameter anchored with Race Face's 50-mil Atlas stem for maximum comfort. I'm 5 feet 10 inches tall, and a large Element frame with my short cockpit setup makes for one of the most comfortable, balanced fits I've ever found. This, coupled with the bike's 30-inch standover height, makes me feel like I'm riding in the bike, rather than on top of it–an important factor in my enjoyment of any 29er. This bike tears up technical climbs with a relentless agility, and is almost as remorseless on steep descents filled with rocks, roots and sizeable drops–despite having a steepish 70.6-degree headtube angle. This is part of the Element's genius: The improved rollover of the big wheels replicates the feel of extra suspension travel, while at the same time obviating the need for a slacker head angle, allowing for a bike that climbs like a cross-country race whip yet descends like a more burly all-mountain machine. Equipped with reliable Shimano SLX brakes, shifters and front derailleur, this Element is great value for $4,000, leaving little need for upgrades apart from perhaps a one-by drivetrain.